Bulgarian Minister of Tourism Mrs. Nikolina Angelkova paid an official visit to Montana Region on 17.02.2015 and led a meeting with municipal authorities and representatives of the tourist sector. She was welcomed by the Regional governor Mr. Ivaylo Petrov who also presented in front of the audience the occasion of the event, namely a discussion of the future priorities in the tourist sector and their capability to stimulate the socio-economic development of the Region. The official guest was also welcomed by Mrs Desislava Atanasova – a member of the Bulgarian Parliament, elected from Montana Region. In her opening speech Mrs. Atanasova expressed an opinion that Montana and the Northwest as a whole should not rely on the heavy industry since it does not possess the necessary conditions. The Region according to Mrs. Atanasova is supposed to pay attention to the ecological agriculture, tourism and food processing industry. Lectors from “Chernorizets Hrabar” the Free University of Varna visited several high-schools in Montana city where they had the chance to meet potential students from the Region. Representatives of the university plan to pay an official visit to all schools in Montana and meet their graduates. Initiative is a part of the Co-operation Memorandum, signed between the Free University of Varna and Montana Regional administration in the fields of Smart Specialization, specialized education and innovations. Regional governor of Montana Mr. Ivaylo Petrov together with his Deputies Mrs. Nina Petkova and Mr. Petar Petrov attended the multimedia presentation of the student candidates’ campaign and the alternatives for distant and extramural education, presented by d-r Veselina Spasova, Reader Gencho Panicharov and Eng. 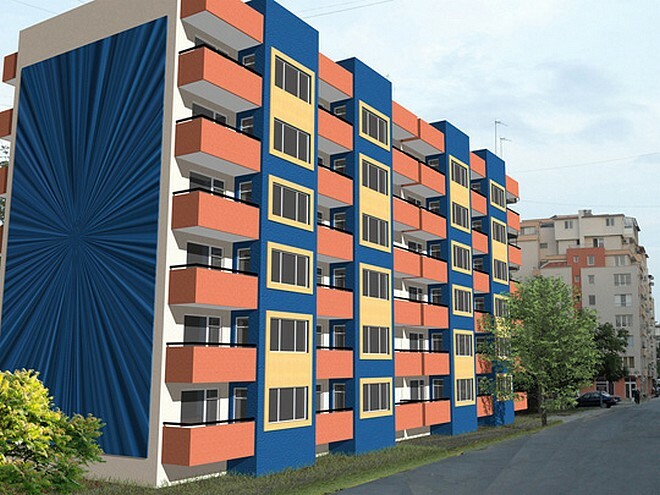 Veselin Pavlov from the “Informatics” and “Construction and buildings” Departments of the university. Education process will take place in Montana city as all student candidates will take preliminary admission examinations on the 25th and 26th of February 2015 in the building of the Professional High-school of Architecture and Geodesy. 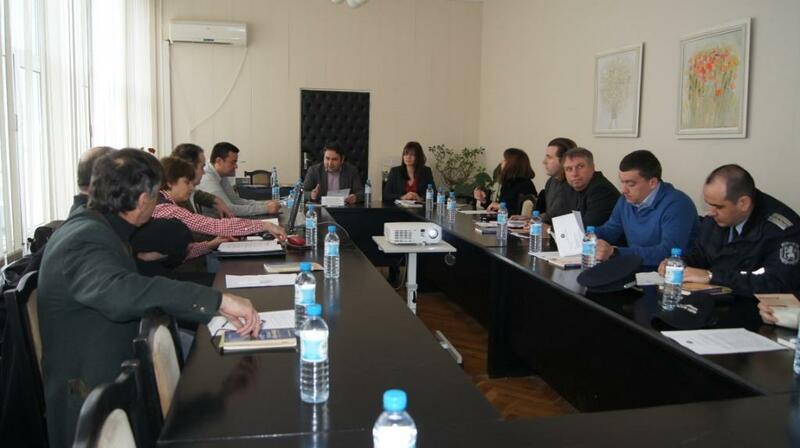 A regular meeting of the Regional Epizootic Commission took place on 09.02.2015 in Conference room №2 of Montana Regional administration under the chairmanship of the Deputy Regional governor Mr. Petar Petrov. The event was also attended by the Deputy Regional governor Mrs. Nina Petkova. The occasion of the meeting and main topic of its agenda was the discussion of the measures which need to be undertaken for the purpose of the Bird Influenza disease (type A) prevention on the territory of Montana Region. The Director of the Regional Food Safety Directorate of Montana D-r Gergo Gergov presented in front of the audience some of the disease’s main characteristics and the methods for the prevention of its transmission. 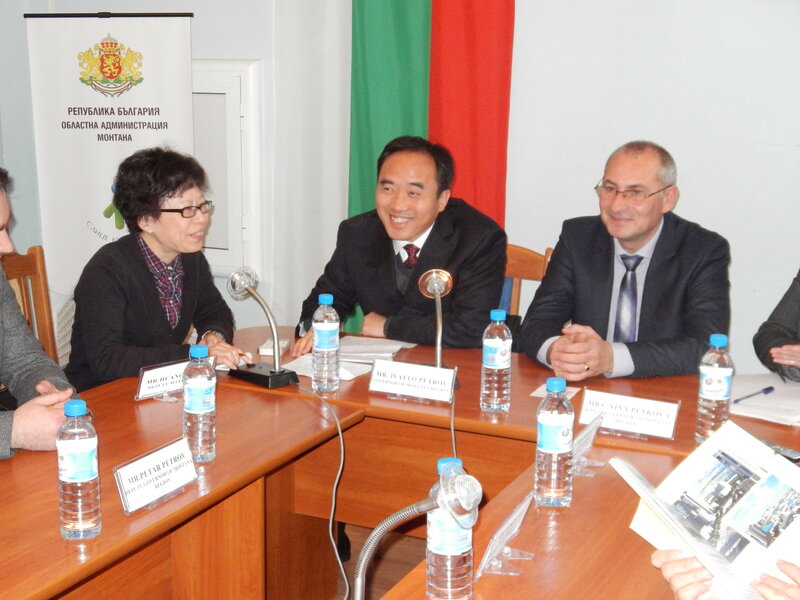 Members of the Epizootic Commission also became acquainted with Order № ОКД-20-2/06.02.2015 of the Regional governor, specifying all the obligatory measures which need to be undertaken by the municipal mayors and state institutions, which functions are associated with the disease prevention and supervision together with the Food Safety Directorate. 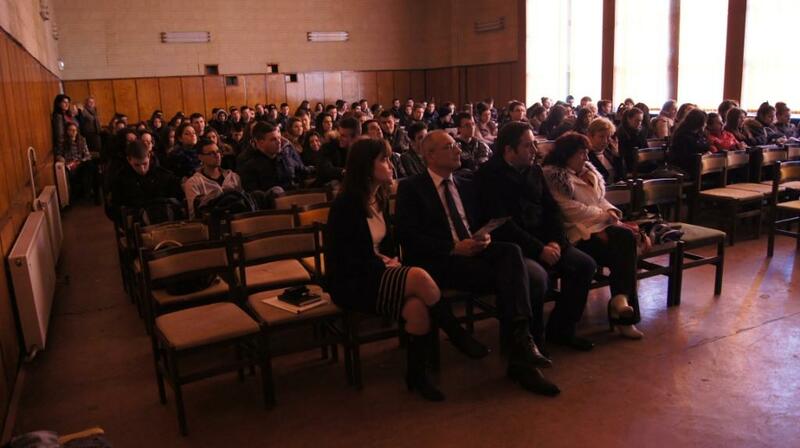 Activities will be implemented on the territory of the Republic of Bulgaria in 265 municipalities. Alternatives for future collaboration between “Chernorizets Hrabar” Free University of Varna and Montana Regional administration in the fields of smart specialization, innovations and specialized education were discussed within the working visit of the Member of Bulgarian Parliament from Montana Constituency Mrs. Desislava Atanasova and the Deputy Regional Governors of Montana Mrs. Nina Petkova and Mr. Petar Petrov in Varna. Essential purpose of the meeting was to identify the possible directions for the development of future innovative educational projects adapted to the needs of the Northwestern region. Delegation from the Chinese city Zhangjiagnag paid an official visit to Montana Regional administration on 01.12.2014. Visit’s main objective was leading a conversation with the Regional governor of Montana about the alternatives for developing bilateral relations between Montana region and the city of Zhangjiagnag, populated by nearly one million residents. Guests were welcomed by the Executive body of Montana Regional administration, represented by the Regional governor Mr. Ivaylo Petrov and his two Deputies – Mrs. Nina Petkova and Mr. Petar Petrov. The Chinese delegation included 14 participants, mainly representatives of various business structures, accompanied by their colleagues from the Chinese-Bulgarian Chamber of commerce and industry. They participated in a joint meeting of Regional Development and Social councils which took place at 13.00 p.m. on the same day. The official opening of NATO’s 4th International Training Programme for nuclear, chemical and biological protection was carried out on 20.10 2014 in the Professional Training Center of Montana Regon’s Fire Safety and Protection of Population Directorate. Deputy Regional governor of Montana Mr. Dimitar Alexiev and the Chairperson of NATO’s Civil Defense Department Mr. Ragnar Bo greeted the participants in the training programme and wished them good luck and successful work during their stay in Montana. This year’s training is attended by lecturers, representing military, rescue and fire safety services, responsible for the emergency reaction in cases of nuclear, chemical and biological accidents of 7 countries – Azerbaijan, Armenia, Bulgaria, Greece, Moldova, Norway and Ukraine. Professionals in the fields of nuclear, chemical and biological protection from Norway, Finland and Sweden as well as the Fire Safety and Population Protection Chief Directorate and “Georgy Sava Rakovsky” Military Academy of Bulgaria were included in the training programme as lecturers and instructors. Mrs. Ilse van Mechelen – Attache Home affairs of Belgium, Federal services of the Governor of Antwerp visited Bulgaria in the period 1-2 of July 2014 on the occasion of the EU Expert exchange Programme between Bulgaria and Belgium. Mrs. Van Mechelen had the opportunity to visit the “Fire safety and civil protection” Chief Directorate in Sofia, Montana city’s Training center of the Ministry of Internal affairs as well as to be a special guest of the Regional governor of Montana Mr. Nikolay Penchev. The main objective of Mrs. Van Mechelen’s visit was to become familiar with the organization of local, national and international field trainings as well as the instruments, used by the government in terms of the engagement of the different national structures, responsible for the crisis management. With a letter, addressed to the regional governor mrs. Mechelen expressed her satisfaction with the meetings she had been able to attend in Bulgaria. She gave a high praise to the regional administration for its responsible attitude towards the matters of the crises and disaster management. The special guest was also impressed by the support of the regional governor in terms of Montana city’s Inernational training center’s development. The attachй home Affairs of Belgium stated that she is very positive about the future joint initiatives between Montana region and Belgium which are expected to be mainly in the field of joint training sessions, know-how exchange, joint participation in international training programmes etc.